The goal of The Learning Center of Woodstown is to produce happy, intelligent, well-adjusted children. 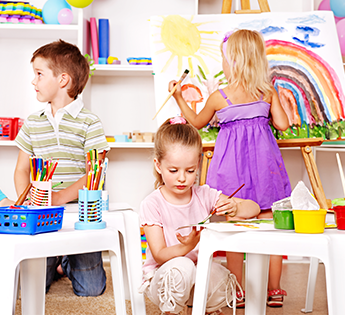 Here you will find a nurturing, educational environment for children of ages 2 1/2 to 5 years. We recognize that each child has unique talents, learning styles, and personalities. Our highly-qualified teachers and staff are committed to working within each child's comfort zone to ensure optimal social, emotional, and educational results. The program operates Monday through Friday, between 7:00 a.m. and 5:30 p.m. For more information and registration, please call our office in Woodstown, New Jersey, at (856) 769-0101 (Ext. 5258).